I’m wrapping up my last minute projects (I have this procrastination thing perfected!) and I’m popping in to add the giveaway results…. Ashley P. , Jessica Christensen, and Tricia W.
I made a version of Playful in Oh Clementine fabric last week to take to market. I quilted it with diagonal straight-ish lines that follow the pinwheels. I’m off to Pittsburgh in the morning (3 am to be exact…yay! not) and I promise to take lots and lots of pictures! I’ll be posting lots of quilt market to my instagram and facebook pages while I’m there too. See you on the other side! 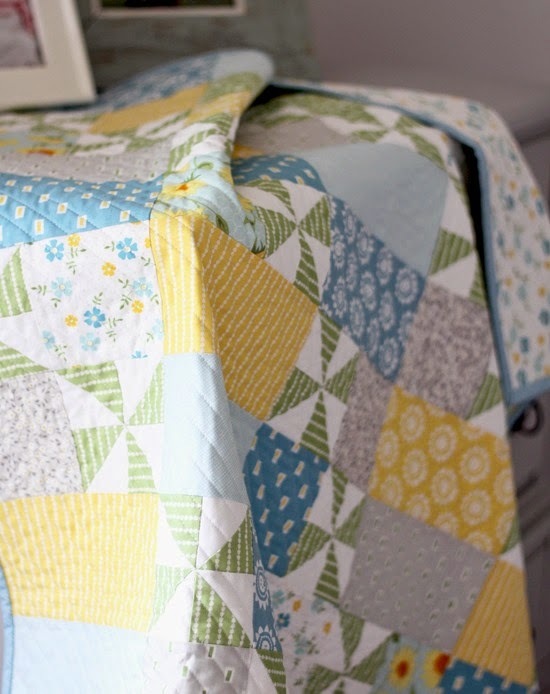 Love the fresh spring feeling of your quilt! Have fun in Pittsburgh, safe travels. I love it in this color palette. So soothing. Oooooh, so pretty! And I'm so glad to hear someone else use the term "straight ish"! I use that 'technique' all the time! Love the colors in your Playful. Good luck at market! I love that quilt! 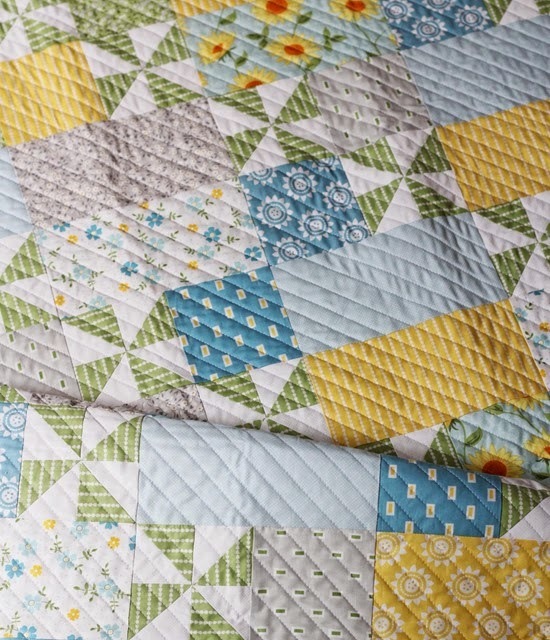 The colors are beautiful and the quilting is awesome. Maybe this will inspire me to get to work on some of my WIP quilts! Last year was my first glimpse into quilt market. It immediately went onto my bucket list. :) I can't wait to see your pictures! That playful quilt is just wonderful! Hope you have a great time at market – can't wait to see your photos. If you ever need a sample sewist or pattern tester I'd love to volunteer! 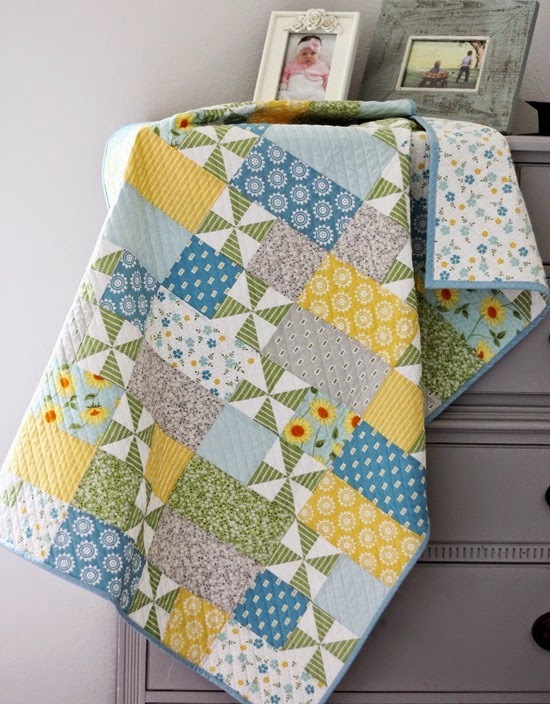 Im LOVE LOVE LOVING the quilting on all of your quilts – such great textures you achieve. Simply loving the finished products!